'Tis the season to be jolly and that entails a season of being free from stress as well. The Christmas holidays is one of the busiest months of the year with all the shopping and bazaar hopping to find the perfect gifts for our loved ones, to Christmas party celebrations and reunions to finishing up those year-end reports at work. 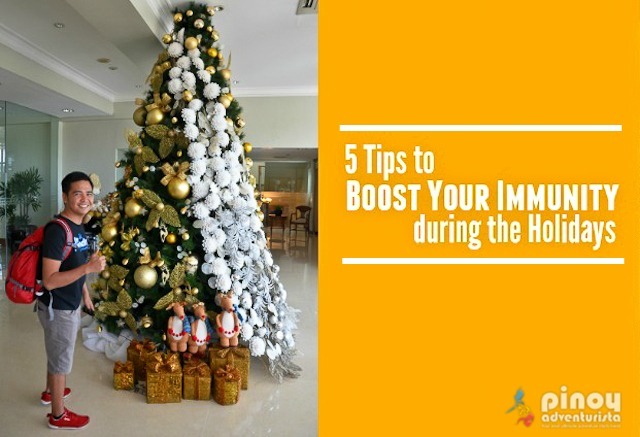 It also includes enduring the heavy traffic and all the Christmas rush happening around us. With so much going on, it's important to take a breather and not be stressed out. Here are some simple yet useful ways on how to do just that. 1. Stay Fit! Exercise Regularly. Exercise produces endorphin; endorphin makes you happy. I know it’s difficult to drag ourselves to the gym and workout, but it doesn’t have to be a boring activity. Grab a buddy that you can workout with, even if it’s just a quick run or walk around the park. With the advancements of technology, there are mobile applications as well that would teach you how to work out at the comfort of your own home even without the use of any gym equipment. Keep motivated to stay fit and healthy all the time. DID YOU KNOW? One hour of physical exercise each day could add two hours to your life. It could just be a walk around the neighborhood, grocery shopping or taking a walk during your lunch break at work. Cool! 2. Eat Well and Healthy. Nothing is better to get you through the day than eating right. Start your day with an energy-packed breakfast to keep you on your feet for all the work and errands you'd be doing the whole day. Steer away from any junk food as these provide temporary tummy fillers with no nutritional benefits. Eat fruits, veggies and drink a lot of water. These are better for you! DID YOU KNOW? To maintain a healthy diet, it's recommended that you eat 5-9 servings of fruits and vegetables each day. Just as exercise and nutrition are essential for optimal health, so is sleep. Sufficient sleep is essential for good health. But with how fast-paced the city life can be, sleep is definitely a luxury most people could not afford. Before you decide on having a lot on your plate, make sure to wisely manage your time to provide yourself an ample amount of slumber. Always remember that the quality of your sleep directly affects the quality of your life and total well-being, this includes your emotional balance, productivity, mental sharpness, physical vitality, and even your weight. So, be sure to have sufficient sleep everyday. DID YOU KNOW? Most healthy adults need between seven and a half to nine hours of sleep per night to function at their best. 4. Have a Positive Outlook in Life. Positive thinking… It may sound simple, but often, not easy. Positive thinking is always very beneficial for your health. It is good for your body, mind, and overall well-being. Never be cynical and dwell on thoughts that could make you unproductive. Get rid of negative thoughts. Smile more often, appreciate life’s best gifts and surround yourself only with positive vibes! DID YOU KNOW? Individuals who had higher levels of optimism had a 73% lower risk of heart failure compared with those who were pessimistic. 5. Protect yourself! Take Vitamins. Food provides a lot of vitamins and minerals, but they may not be enough. Taking the necessary steps to boost your immune system is very important - one of the most important is taking vitamin supplements. Roaming the busy streets, staying up late and the stress brought about by work could cause your immune system to weaken. So, taking the right amount of vitamin C wouldn’t hurt to help prevent the common colds or the dreaded flu. Vitamin C plays an integral part to our overall health. I've been taking vitamin C to boost my immune system to protect me from getting sick. It has been my defense against common ailments such as colds, flu and fatigue that are prevalent during the holiday season. DID YOU KNOW? The supplement of vitamin C intake helps in lowering the body’s blood pressure. What do I take to stay strong and healthy? 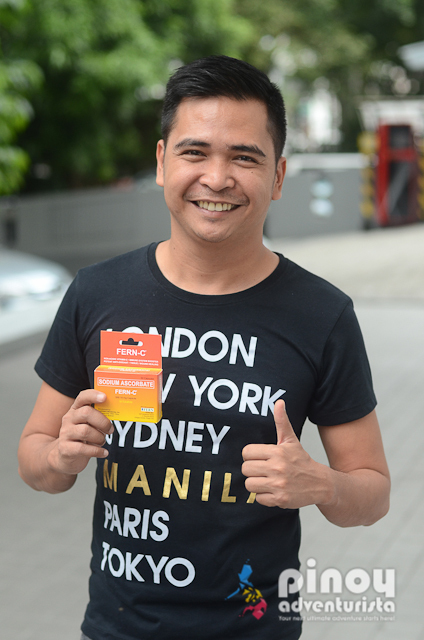 With just one capsule daily, Fern-C certainly boosts my immune system and helps me have a stress-free Christmas season. Fern-C is an immune-system booster and potent antioxidant that provides the right amount of vitamin C which helps me boost my immune system and increase body resistance against viruses and bacteria that attack our body and bring different forms of diseases. What I love about Fern-C? 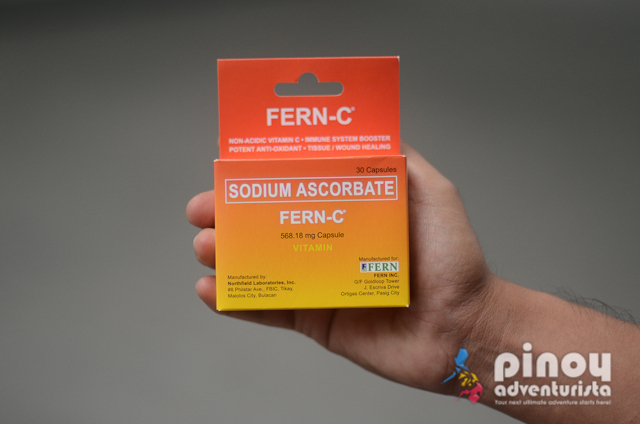 Fern-C can be taken on an empty stomach since it is sodium ascorbate as against to the more common ascorbic acid. What makes sodium ascorbate special is its alkaline content that counter balances the acidity of ascorbic acid and minimizes stomach upset because it dissolves faster for quicker body absorption. I always bring it anywhere I go for me not to miss my daily dose of Vitamins C! As the saying goes... "Prevention is better than cure." But I've always believe that "Protection is far better than cure." So, take your daily dose of Fern-C to stay protected and for that added boost on your immune system! Dito tayo sa Subok Na! Have a healthy and stress-free Christmas! 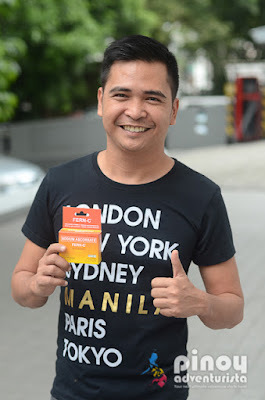 Awesome tips Pinoy Adventurista! I also take Fern-C daily!